I was born twice: first, as a baby girl, on a remarkably smogless Detroit day of January 1960; and then again, as a teenage boy, in an emergency room near Petoskey, Michigan, in August of 1974. . . My birth certificate lists my name as Calliope Helen Stephanides. My most recent driver’s license…records my first name simply as Cal. Why This Book: Several reasons. It comes recommended by several friends, I saw it sitting on the shelf at one friend’s house (and promptly borrowed it, deciding this was the next book for the project), and I’m currently living in the town of… (wait for it) Middlesex. 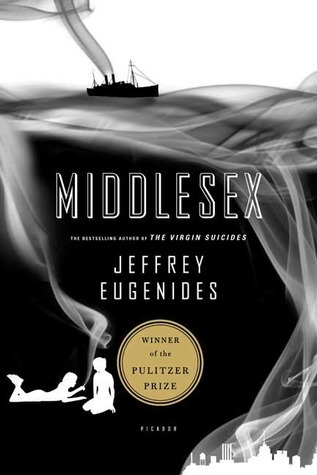 This entry was posted in 42 Books and tagged Jeffrey Eugenides, Middlesex. Bookmark the permalink.